“If you go mad, people give up on you. They don’t really have any expectations. 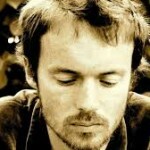 […] And then you’re free.” Damien Rice Another brilliant song from Damien Rice. I like his live performances best. Hypnotic.